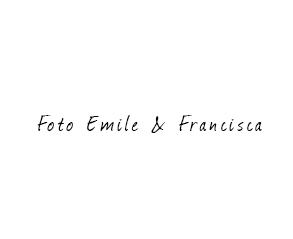 We are Emile & Francisca Vermeulen. We have been living and working in Amsterdam for many years and we know the city by heart. Emile is a real local, having lived here his entire life, studying and working in Amsterdam. Besides being able to tell you all about the city, and knowing the best places to go, it is important to us that our guests have a relaxed and a genuine Amsterdam experience in a house with a stylish interior and a good atmosphere. Welcome to our house! Contact: preferably by email at info@mokumsuites.com. If you prefer to contact us by telephone, please call us after 6pm. We are generally broad-minded and flexible and as active participants in Amsterdam city life, not much will surprise us. That being said, to guarantee the peace, quiet and privacy of the other guests and our own family, we would like to set out the general rules for visitors to Mokum Suites. Check in is from 1500-1800. Check out is before 11am. This can be flexible in consultation with us. Cancellation: you are allowed to cancel the booking free of charges up to 7 days before arrival date. If cancelled within 7 days prior to arrival the full amount must be paid. Mokum Suites can request a deposit. Bicycles may not be moved or placed inside the premises. The owners of Mokum Suites cannot be held accountable for loss or damage from and to personal belongings as a consequence of a stay at the house. You are obligated to leave the house the way you found it. If there is accidental damage to the house or interior, you are expected to report this immediately to the owners. You are also liable for damage of any other people that are on the premises with permission of the owner. Damage and /or missing objects will be charged, also if it’s only noticed after the guests have left the house. If there is something you would like to have in the room, you can ask the owners if it is for sale. If guests to not abide by the rules, or if there is noise disturbance, or damage to the premises the owners have the right to end the contract, without refund. Only people registered on the reservation form can use the room. It is not permitted to have visitors or let extra people stay without first consulting with us. If this rule is broken the stay may be ended without refund. You are responsible for arranging travel, cancellation and liability insurance. There is a charge of € 50 for losing house keys. There is no elevator. The house is therefore unfortunately not suitable for disabled guests.